...but it's pretty dang groovy, just the same. 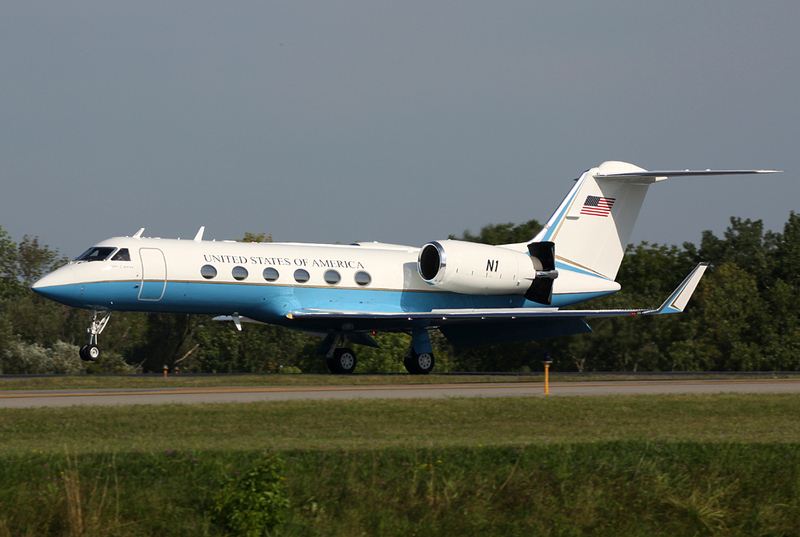 However, an email from a friend arrived later in the day and, well, saved the day... witness this nifty shot of a groovy little Gulfstream operated by the FAA, touching down on Runway 23. Check out the registration... thanks Wayne!